I remember back in the early 1990’s a trip to Kure Beach in which we were absolutely ran off the beach by “biting flies”. The numbers of these flies were incredible and they would bite fast and hard. After some research this week, I was at a loss trying to figure out what fly is could have been since they were much smaller than horse flies. Additionally, I was a little confused since at first I thought that the trip was taken at Easter, a time in which fly populations have not yet developed. Suddenly though, I remembered the beach trip that year was taken Labor day weekend, a time when fly populations are peaking. Then, after narrowing my search to a small biting fly similar in size to that of a house fly I discovered that the stable fly was the only possible fly that bites and is small in size similar to a house fly. 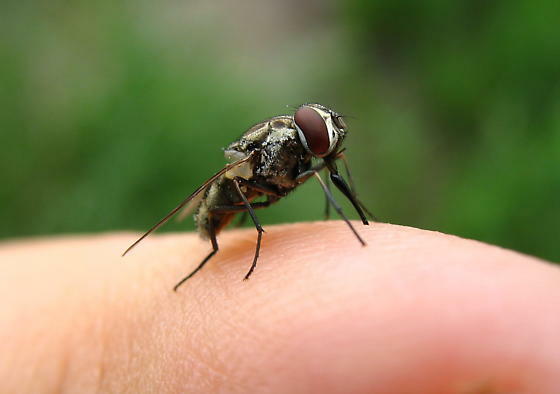 Ironically, according to the Mallis Handbook of pest control, the stable fly, which is often encountered around farms and stables, is also referred to as a “beach fly” since it’s also commonly a pain inflicting nuisance on costal and beach areas. . So, if you’re overwhelmed with annoying biting flies towards the end of summer while vacationing on a beach, the culprit is the Stable Fly. House flies are often vectors of filth pathogens, however, they do not bite. 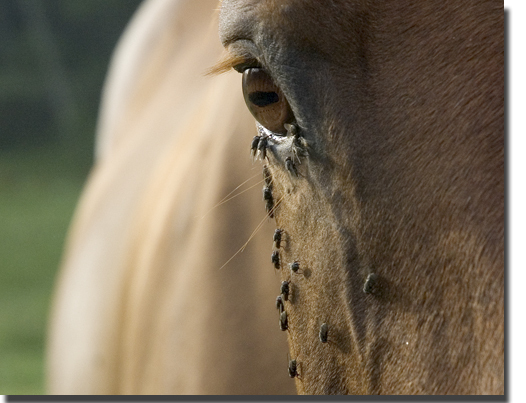 The stable fly infestations are often numerous and armed with non retractable piercing proboscis that inflicts painful bites. Stable flies bite fast and hard, inflicting pain.